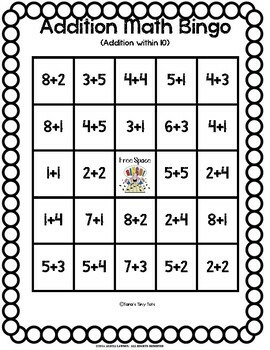 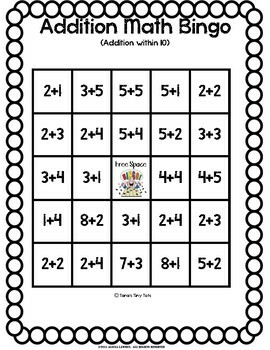 With this fun bingo game, your kiddos will select addition equations that match the number of the bingo calling card. 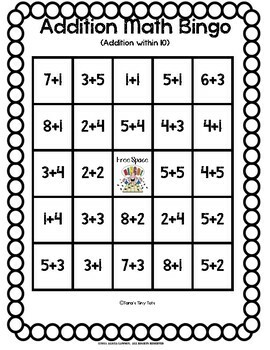 This is a great way to get them thinking about different ways to make a number within 10. 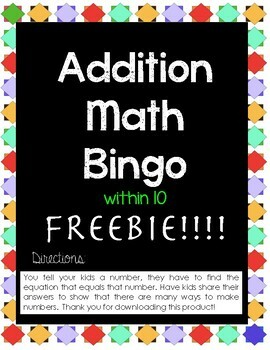 This is intended for a small group activity, ideally for stations, or even with volunteers.